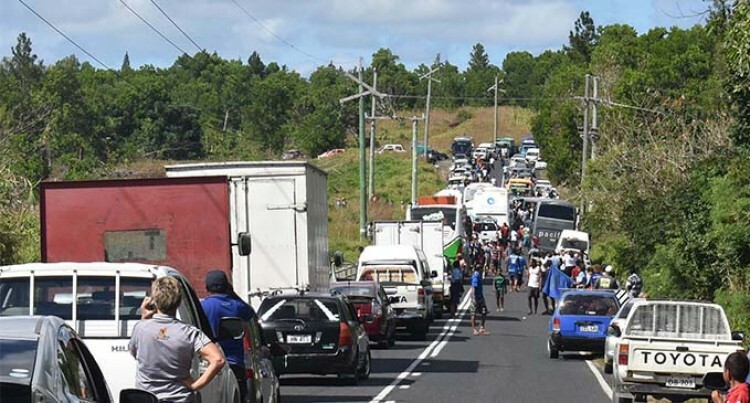 The Prime Minister, Voreqe Bainimarama, has joined others criticising how some Fijians were sharing photos of those who died in a fatal crash scene at Nabou on Saturday. The PM was reacting to how some Fijians had expressed disbelief and horror of how the photos of the crash scene were widely circulated on social media. Speaking to Fiji Sun yesterday, the PM said: “Let’s have some respect for those who have lost their lives, and the families in mourning. The road crash at Nabou on Saturday, midway between Sigatoka and Nadi, involved a minivan, a delivery van and a private vehicle. Four people in the minivan died including a 16-year-old student of Ratu Navula College, while the driver and a passenger in the delivery van also died. The road death toll is now 44. Of those who survived the crash, Police spokesperson Ana Naisoro confirmed that two people are in critical condition in the Lautoka Hospital, two others remain admitted in the Nadi Hospital while one has been discharged. Others were treated for minor injuries. Mr Bainimarama said he felt for the parents and relatives who had to see the photos of their dead loved ones circulated on social media. “It is sickening. It’s a sad state of affairs and so depressing,” the PM said of the social media posts. “We all feel saddened by these young people in the prime of their youths, with their lives cut short. It is so sad that young lives have been taken from our midst because people driving are not following the road rules. The death of those at Nabou on Saturday, he said were really heartbreaking especially for cousins Sanaila Ruitoka and Atilai Ruitoka. With the Police investigations still ongoing Mr Qiolevu is urging social media users to have some empathy towards the families of the victims. Media Industry Development Authority (MIDA) chairperson Ashwin Raj said while MIDA may not be able to hold the numerous public members who made a spectacle out of this tragedy on social media accountable, it would certainly hold the mainstream media to account. “Surely people who are posting these undignified images would not want such images posted of them or their loves ones should such a tragedy befall them,” Mr Raj said. The chief executive officer (CEO) of Save the Children Fiji, Iris Low-McKenzie, shared similar sentiments. In a statement, Ms Low-McKenzie said people needed to know that it was disrespectful sharing and posting such posts on social media. “Let us respect the victim’s family who are going through a very difficult moment in receiving the news of this unfortunate fatal accident,” she said. Ms Low-McKenzie also said these actions were a direct violation of children’s rights to human dignity and indicative of the lack of respect for other people’s privacy and personal space, in particular, the children. Since a person chose to post the photos and people sharing it, she said it would wise to evaluate social media habits because some of the dead were children, children who belonged to a family, who had friends and a whole network around them. “To be circulating these horrific video is very inhumane and insensitive,” Ms Low-McKenzie said. Under Article 17 of the United Nations Convention on the Rights of the Child (UNCRC), she said children had the right to collect information from the media, radio and other mass media, but should be protected from information that could harm them. “We are not giving these children a chance to choose to not see the images, since they would pop up on their newsfeed without warning,” Ms Low-McKenzie said.